Think Bali and perhaps the sight of unending beautiful beaches come to mind. 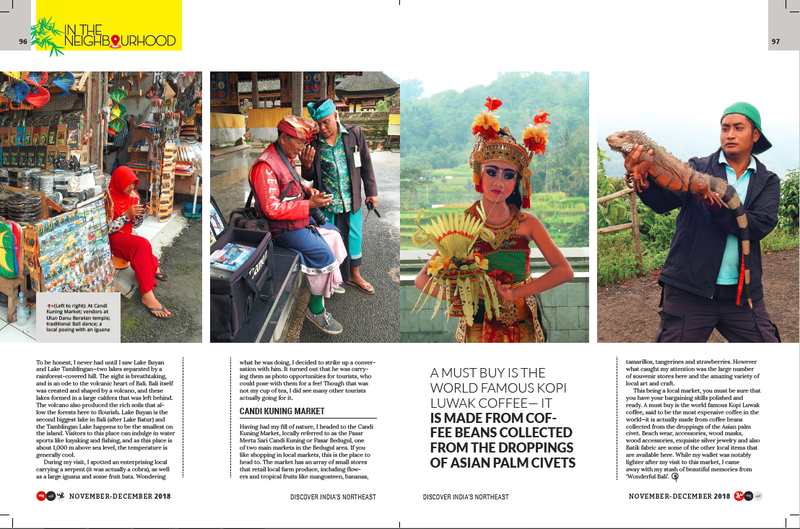 However, the country especially Northern Bali has many unique sights that will leave you with lovely Balinese memories. My first visit to Bali earlier this year was unique as I was aboard the luxury cruise liner Genting Dream and had a shore excursion to this beautiful country. 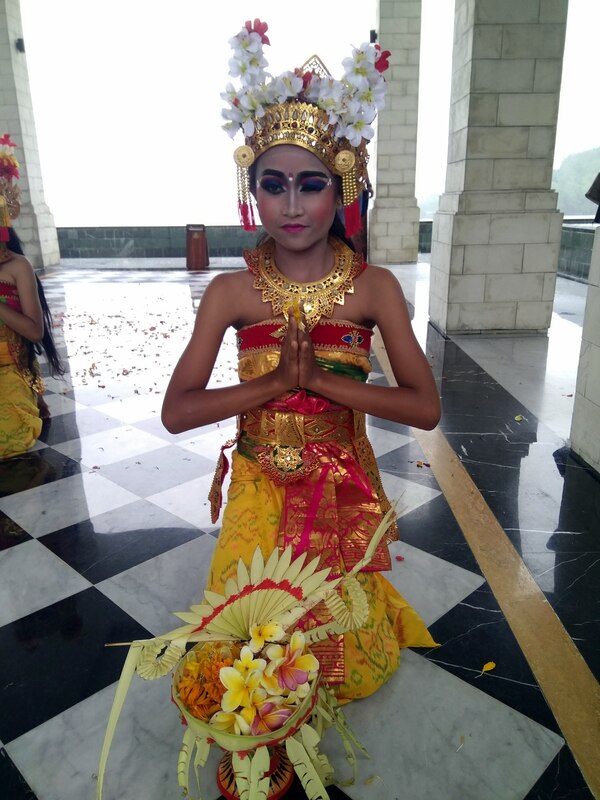 Even as I stepped off the ship and reached the shore, I was treated to a traditional welcome with a Balinese dance and music performance. Perhaps this was the best precursor to the sights and sounds that were to unfold. My first stop is at the breathtakingly beautiful Ulun Danu Beratan Temple, which is unlike the notion of most temples we have in mind. Well for one, this is a place that is more like a sightseeing spot and no idol worship that happens here. 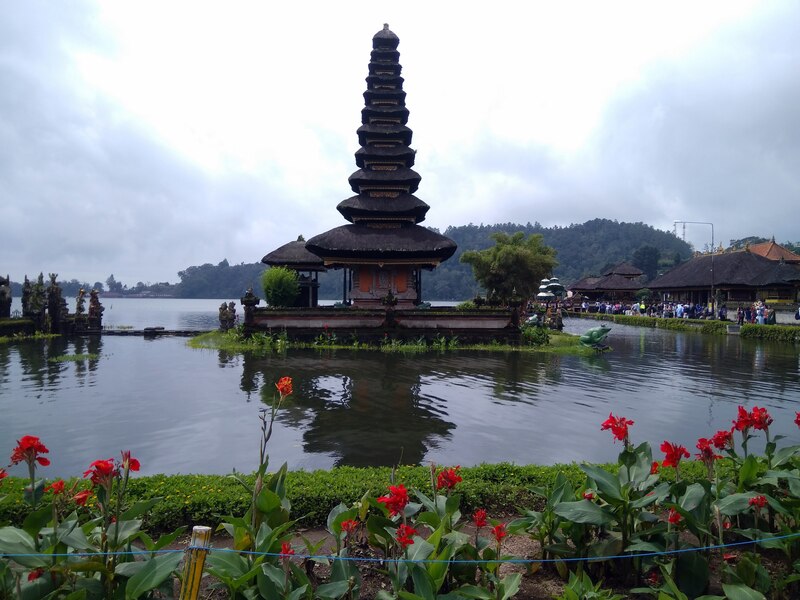 Located on the west of the Beratan Lake in Bedugul, the temple is in the midst of a lake giving you an impression that the temple is actually floating. Surrounded by magnificent blue mountains, glistening clear waters as well as a stunning forest cover, this is a picture perfect space. 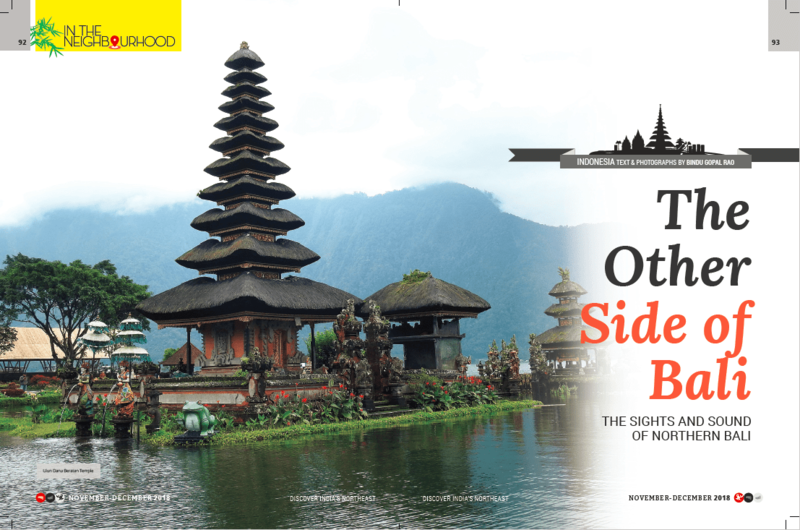 Dating back to the 17th century, this temple is dedicated to the lake goddess, Dewi Danu and Brahma-Vishnu-Shiva. The temple itself has four groups of shrines with four gates facing each of the directions. Built in traditional Balinese architecture, the tiered shrines pay tribute to the golden days of the Mengwi kingdom. Incidentally there is a Ganesha statue at the entrance of the temple. My guide tells me that while Indonesia is primarily a Muslim nation, Bali is largely Hindu and this is why it is home to several temples. Walking around the temple is a calming experiences and it is impossible not to stop and admire the beautiful architecture of the place. With a burst of flowers on the edge of the lake, there are innumerable photo opportunities as well here. Have you ever seen two lakes separated by a green cover? 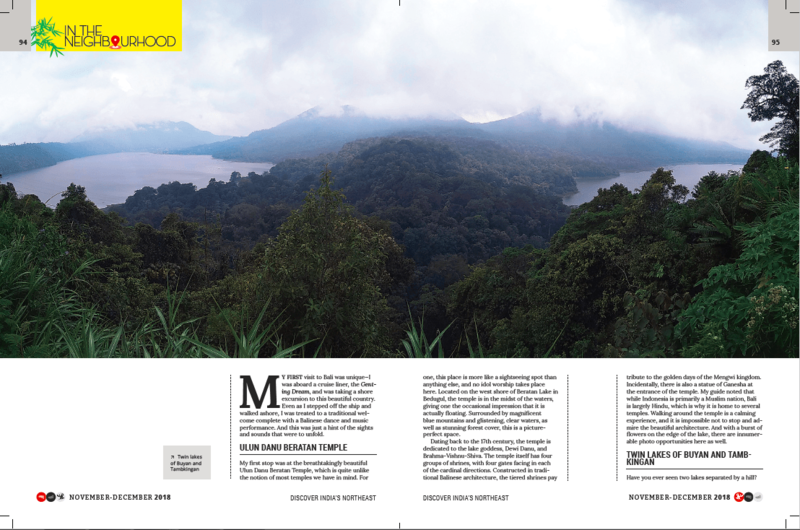 Well, to be honest I never had till I came to see Lake Buyan and Lake Tamblingan that are separated by a rainforest hill. And the sight is breathtaking. The two lakes called Twin Lakes are an ode to the the volcanic heart of Bali. It is said that the volcanoes created and shaped this island and the lakes formed in a large caldera. The volcano also produced the rich soils for the forest to flourish. Lake Buyan happens to be the second biggest lake in Bali after Lake Batur and the Tamblingan lake happens to be the smallest lake on the island. When you are here, you can indulge in water sports like kayaking and fishing as well. As this place is about 1000 m above sea level, the temperature is quite low and the place is generally cool. When I was here, I spotted an enterprising local with a serpent (well it was actually a cobra) and a large iguana as well as fruit bats. Wondering what he was doing there, I decided to strike a conversation with him and found out that he had them for photo opportunities where tourists could pose with them for a fee! Well, that was not my cup of tea, though I did see many tourists actually going for it. Having my fill of nature, I headed to the Candi Kuning Market locally referred to as the Pasar Merta Sari Candi Kuning or Pasar Bedugul, one of two main markets in the Bedugul area. If you like local market shopping, this is the place to head to as the market has an array of small stores that retail local farm produce including flowers and tropical fruits like mangosteen, bananas, tamarillos, tangerines and strawberries. However what caught my attention was the large number of souvenir stores here and the amazing variety of local art and craft. However being a local market, you must be sure that you have your bargaining skills polished and ready. When here a must buy is the world famous Kopi Luwak coffee, said to be the most expensive coffee in the world, as it is actually made from the coffee beans digested by the palm civet cat. 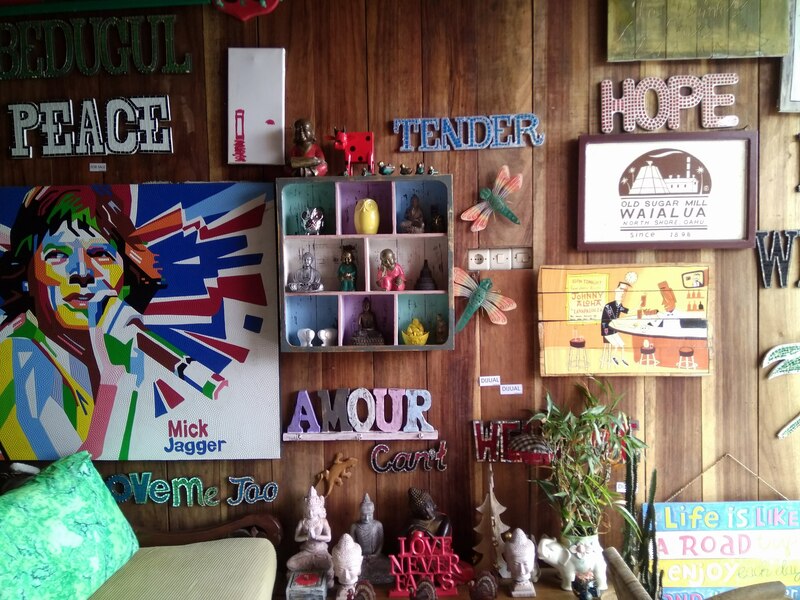 Beach wear, accessories, wood masks, wood accessories, exquisite silver jewellery and also Batik fabric are some of the local items that are available here. While my wallet was way lighter after visiting this market, I was thrilled with the fact that I had in my little way helped the local community. After all travel is also about experiences that are beyond the obvious and in this case, I also had my stash of memories from ‘Wonderful Bali’. True to its tagline, this was a visit that will remain etched in my memory always.